"Now, at last, their great siege weapons were ready. At dawn on October 2nd, the battery opened fire. The cannonballs fell as thick as the rain, slamming into the fortress walls and the bastion of San Andres." 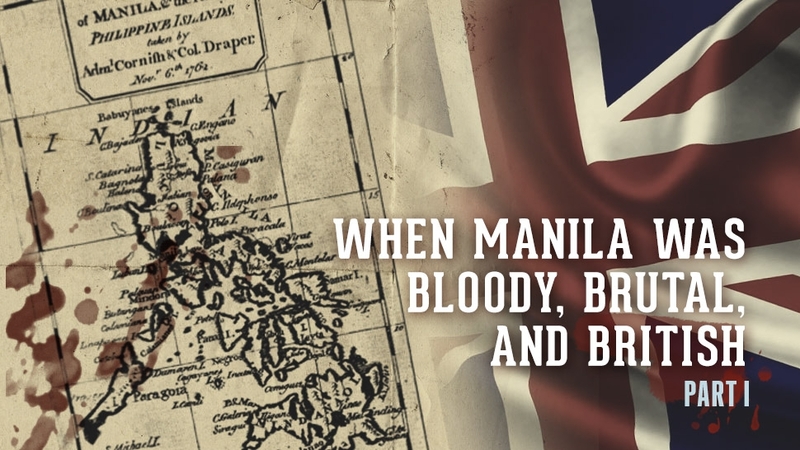 This is the second chapter of our story on the British occupation of Manila in 1762. 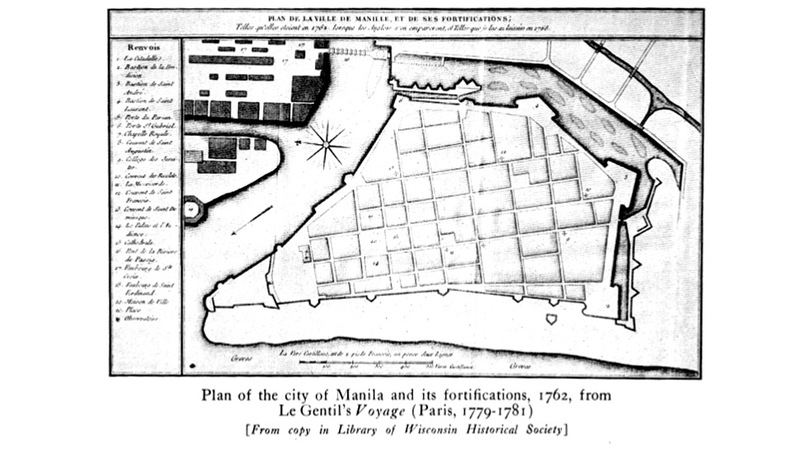 The truth was that, St. Francis or no St. Francis, Manila’s fortifications would not stand up to any sustained siege. The archbishop was an administrator who was good with the account books but “did not understand anything of military affairs,” as Le Gentil noted. As acting governor-general, his authority was tenuous. He often conceded decisions to his council, composed on one side of the tradesmen and the bureaucrats, and on the other by the clergy. He also had to deal, naturally, with the military, under command of Brigadier-General Marquis de Villa Medina. They were often shut out from important meetings. Behind Rojo’s back, they grumbled about his lack of decisiveness. “If Arandia were living...” some of them would mutter—referring to the previous governor-general, a Spanish knight. But he was dead, and they only had Rojo to lead them. To break the British position, the Spaniards assembled 50 musketmen, as well as some militia volunteers. Supporting this force were two small four-pounder guns and 800 Filipinos armed with spears and bows. Commanding the counterattack was Cesar Fayette, a French chevalier under Spanish service. Bringing the troops out of the city walls under cover of darkness, Fayette’s troops assembled at Bagumbayan and raked their right flank with gunfire. Against Fayette’s attack, the British assembled a group of Sepoys, supported by three pickets of men from the 79th regiment, and about 100 seamen. Sharp fire was exchanged all night, before Fayette was driven off, retreating from the church of San Juan in Bagumbayan—about two hundred yards from Santiago church—which was now seized by the troops under command of Colonel Monson. In Fayette’s flight, his troops left behind one of their cannons. From his headquarters in Ermita, Draper decided that the church of Santiago would be point from which they would launch their main assault. He saw that the top of Santiago’s bell tower, in particular, would be the perfect vantage point to watch Intramuros. The soldiers began digging breastworks and defensive trenches on the church grounds and around the surrounding houses. On the open field facing the walls, they also began filling their gabions—large baskets made from rattan that they had prepared at sea during the journey to Manila—with dirt and rocks, and laid great fascines of wood on top of them. Great mounds were also dug up to anchor the cannons. All these earthworks would protect the artillery when they began their final assault. To help them bring supplies from the beach to the front lines, the British attempted to convince some Filipinos to defect, or at least lend horses or oxen. But none joined them. The few soldiers who wandered out of their quarters were killed by the locals. As one of their main store ships, the South Sea Castle, was separated from the main fleet before they arrived, the troops didn’t have enough digging tools. They struggled against the wet earth as they dug their fortifications. Cornish ordered his men aboard the ships to construct makeshift spades and pickaxes, while he scanned the horizon repeatedly, waiting for the South Sea Castle to sail into Manila Bay. The British put up a white flag, and sent a second emissary to the city. When Draper received the Spaniards’ answer, he scoffed. “Their answer was much more spirited than their conduct had been!” he remarked in his journal. The British bombardment began anew. Huge eighteen-pound cannonballs slammed into the buildings inside Intramuros. The defenders salvaged what they could, hoisted them in their own mortars, and volleyed them back to the English lines. Meanwhile, aboard the Norfolk, Antonio Tagle, the archbishop’s nephew who was now a British prisoner, watched as another white flag went up...this time, from the Spanish lines. By that time, the archbishop had heard about Tagle and the Santa Gertrudis—possibly from the escaping Sotomayor. Rojo sent messengers secretly to the galleon Filipino, warning the crew to stay away from Manila and find another port to land on. To avoid the British fleet, the silver would have to be transported by land. Now, it was time to parley with the British for the release of his nephew. Both sides took advantage of the September 26 truce to shore up their forces. Both Draper and Admiral Cornish agreed to a day’s ceasefire, and to release Tagle the next morning. He was useless to them, anyway. Cornish had already ordered his two fastest ships, the Panther and the Argo—the Argo had been one of the frigates that had provided covering fire for the first landing of the British troops—to chase down the Filipino. If they managed to capture the ship, the commanders agreed that the plunder would be divided equally between the sea and the land forces. Both sides took advantage of the September 26 truce to shore up their forces. 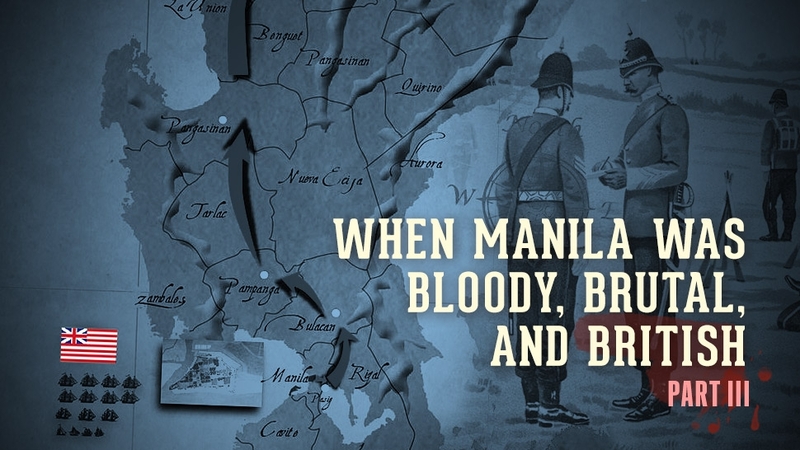 In Manila, reinforcements began to arrive from the provinces, including 600 men from Bulacan, plus around 110 men that were summoned from Meycauayan and Bocaue. Most feared, though, were the 2,000 or so troops that had marched from Pampanga. At the time, the province was known for having the toughest fighters. Even Draper called them a “fierce and barbarous people.” Around 3,000 Filipinos were mustered to reinforce the Spanish defense. Most of them armed with bows and arrows, except for 33 Tagalogs who carried muskets. Meanwhile, the British landed more artillery. Close to midnight, as their new cannons were moved into position, the British began shelling Manila again. 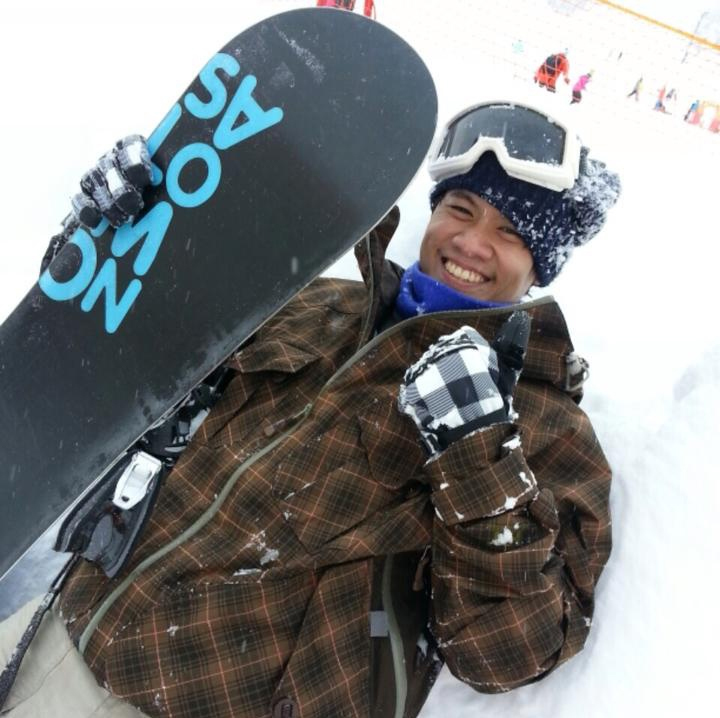 When Tagle disembarked from a British boat the following morning, he was dressed all in black. 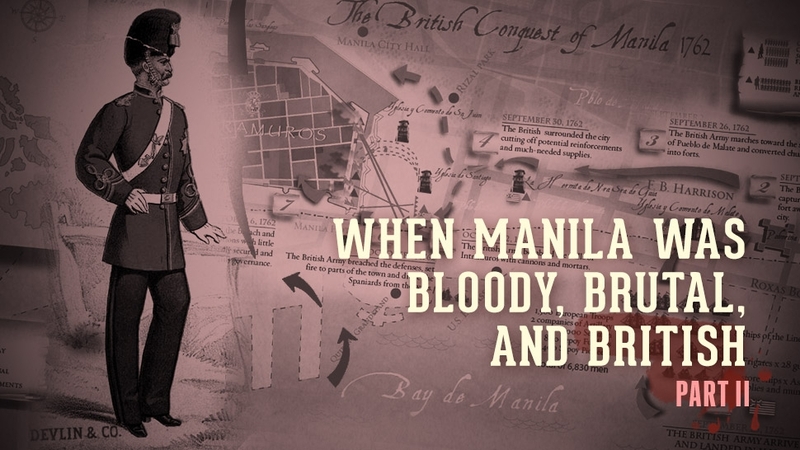 A small group of British soldiers, commanded by a Lieutenant Fryar, escorted him back to Intramuros, carrying a flag of truce, while a drummer beat out a chamade—an insistent beat that signaled temporary ceasefire. Seeing the white flag, the Spanish halted their bombardment. The British artillery, however, did not. Inside the ravelin gate of the Puerto Real, a large contingent of native and mestizo troops, sick of cowering under the constant barrage of cannonballs, charged the British trenches. It was a spontaneous, desperate action—in his journal, Rojo claimed that they had acted without orders. Despite their lack of guns, the soldiers broke through Bagumbayan and captured a bakery and several houses that had been occupied by advanced scouts. 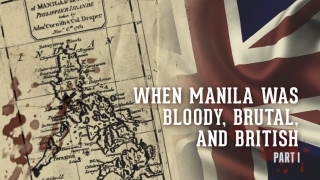 The British soldiers who didn’t flee were impaled or wounded on Filipino spears. The attackers fell on Tagle’s party. They surrounded Fryar, cutting him down brutally. One of Fryar’s assistants leaped forward to try and save the lieutenant, but he was seized, and his head cut off. Tagle was stabbed seven times, and bled out from his wounds. The drummer, unable to run away, was also killed. Three hundred British soldiers, armed with light flintlock rifles, went into action. Normally, these fusiliers were in charge of guarding the artillery, but as the native defenders smashed through the British lines they surged forward, recapturing the outposts hard-won by the assault and driving the spearmen back. The Filipinos who attacked Tagle were killed. Not one of them was spared. Under fire from the fusiliers, the Filipino soldiers rushed back to the Puerto Real. The fortress gates opened to let them back in. They dragged their wounded behind them; one of them still carried the head of Fryar’s assistant. As the gates closed, Spanish artillery from the Baluarte de San Andres trained their guns on the advancing musketmen and fired, cutting through the British forces. British and Philippine forces alike retreated back into cover. From their positions atop the walls, the Spanish troops manning the walls saw stray dogs feasting on the corpses. Draper was furious about what happened to Fryar. “The barbarians, without respecting his body,” he declared, “inhumanly murdered him, mangling his body in a manner too shocking to mention.” He sent an emissary to Intramuros, and demanded the head of the slain officer. If not, he would behead Cerezo and the other Spaniard they had captured from the Santa Gertrudis, as well as all their other prisoners. The Spanish complied, and even allowed the British to recover Fryar’s body. The corpse, now headless, had been mutilated and “maimed in the most inhuman manner,” as a British engineer put it. To appease them even more, Rojo himself took a horse and rode out of the city that night to talk with the officers inside the enemy camp. It was a strange moment of peace—one in which the two warring sides were briefly united in wrath against their dark-skinned subjects. Draper came to similar conclusions. “It was evident that the Indians alone were guilty of this horrid piece of barbarity,” he wrote in his journal. Their consciences reassured and the incident resolved, Rojo rode back into the city, and the two sides went back to the business of killing each other. By October, the British battery was finally completed—eight cannons strong, capable of firing heavy 24-pound shells. They were supported by two 18-pound cannons and seven mortars, as well as cannon fire from the Falmouth and the Elizabeth, which Cornish had anchored so close to the city that their hulls scraped mud. The rains grew even worse. The Spaniards took this as more signs of God’s favor, like an angel of the Lord had come to “destroy [the English] like the hosts of Sennacherib.” Many British longboats that were transporting more supplies and artillery had capsized. The South Sea Castle finally arrived, but was quickly run aground by the winds, near the polverista. To avoid Spanish cannon fire, the British troops constructed the battery under the cover of night, shoveling wet soil into the earthworks that would anchor their giant guns. Now, at last, their great siege weapons were ready. At dawn on October 2nd, the battery opened fire. The cannonballs fell as thick as the rain, slamming into the fortress walls and the bastion of San Andres. Meanwhile, from the bell tower of Santiago church, soldiers fired muskets and grapeshot into the ranks of the defenders. The salvo was so intense that, later, more than four thousand shells were salvaged from the city perimeter. The Spaniards kept under cover, and could not fire back. Many defenders were wounded from both the impact of the cannon and flying fragments of stone, including a Spanish artilleryman who lost his arm. The fortifications, though, were better than they hoped; only seven were killed during the bombardment. However, the British guns had done their work. By ten in the morning, Rojo recorded that “all the parapet of that part was on the ground.” Manila had been breached. This is the second of three parts. The second installment of this story will be posted tomorrow, Saturday, September 9, 2017. For a line-by-line list of references, click here. "I was drugged with devil's breath and kidnapped in Manila"